The nation's southern border has seen a dramatic increase in the number of children coming to the U.S. on their own hoping to find parents and fleeing tough or dangerous circumstances. So many have come this year that the Department of Homeland Security has opened an emergency shelter at a vacant dormitory at Joint Base San Antonio-Lackland in Texas to house them temporarily. The Defense Department's U.S. Northern Command said in a statement issued over the weekend that the dorm would house up to 1,000 minors for up to 120 days. 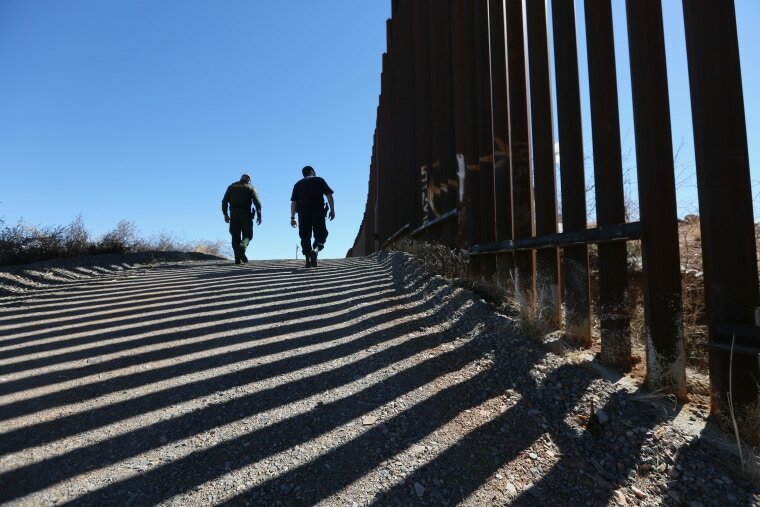 DHS Secretary Jeh Johnson, who visited the South Texas-Mexico border earlier this month, declared the situation a crisis and tagged it with a "Level IV" condition of readiness, which DHS said is the highest level of contingency planning. The emergency was first reported in the New York Times. The Department of Homeland Security said it took the action because the number of children crossing the border illegally had increased "substantially" in the last two weeks. A DHS spokeswoman provided basic details, but was unable to respond to a request for more information defining "substantial" or to answer other questions because she was in the field. The arrival of so many children places a lot of pressure on Customs and Border Protection, whose border processing stations aren't equipped for handling so many people, let alone children who have to be kept separate, need proper bedding, adequate toilet facilities and other needs, said Wendy Young, president of Kids In Need of Defense, which assists unaccompanied children tangled in the U.S immigration system. Almost 25,000 children crossed the border in fiscal year 2013. Next year the numbers are projected to go up to over 100,000. The law does not allow the Border Patrol to keep the children more than 72 hours so they must be quickly transferred to the Office of Refugee Resettlement under the Department of Health and Human Services. Providing proper facilities and care for the children is critical for the administration to remain in compliance with the settlement of a class action lawsuit requiring basic conditions for housing children. The increasing numbers of children crossing the border has been a mounting problem for years and has been recognized by outside groups and Congress. Usually numbering 6,000 to 8,000 a year, their numbers rose to 13,625 in the 2012 fiscal year and were at 24,688 in fiscal year 2013. An emergency shelter had to be opened in 2012 as well. There were projections from the government of 60,000 or more this year. Next year's projections are some 100,000 to 130,000 unaccompanied children will cross illegally. Congress asked the administration for a plan on how to address the issue in the 2014 omnibus funding bill. The U.S. Conference of Catholic Bishops issued a report on the growing problem last year, followed by another this year from Kids in Need of Defense, a group that advocates for the children and provides legal services during deportation proceedings. The United Nations High Commissioner on Refugees also sought to draw attention to the problem in a recent report that showed 58 percent of the children fled because of problems such as violence in their home country that would trigger international protection. "One of the things we are encouraging the administration to figure into whatever plan they do have is to look at the root cause of the violence in Central America," Young said. Some immigration hawks attribute the rise to the possibility of legal status under immigration reforms. Young said it would have been ideal had the federal government gotten in front of the problem, but she said it's an issue that bleeds into numerous agencies and is complex. Young, who has worked on the issue of unaccompanied children since 1990, said lawmakers have always tried to squeeze children into existing immigration laws rather than dealing with their needs. The Senate-passed sweeping immigration bill includes reforms, including that every child have counsel in deportation proceedings. The Senate-passed immigration bill includes reforms that are needed to better address the children's needs. Young said attempts are made to reach a parent, relative of the children and to release them to potential sponsors, but she said her organization works to ensure sponsors are properly screened so children do not end up in abusive or unsafe homes, she said.